Reykjavik Goth night is an Icelandic goth club held every few months in Reykjavik. It features prominent artists and DJ's from the goth, darkwave, industrial and death metal scene and are popular with the city's underground crowd. The events have taken place in a warehouse in Grandi and at Gaukurinn music venue downtown. 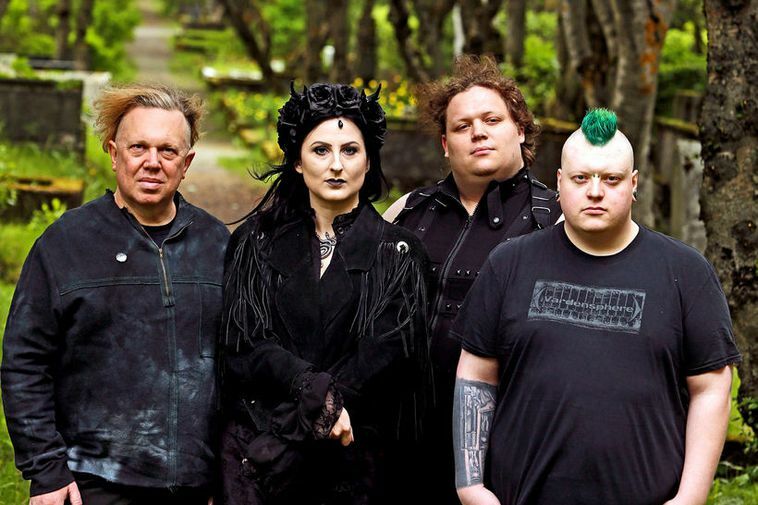 The organisers of Reykjavik Goth Night , Theódóra Björk Guðjónsdóttir, Bjarki Þór Guðmundsson, Guðrún Sæborg Ólafsdóttir and Kenneth Balys, also known as musician Dada Pogrom, have been organising the nights with a burning passion since 2011. "These are the only nights of their kind in Iceland," explains Guðjónsdóttir. "It's where people can experience the different dimensions of goth culture, in music, dance and dress. Everyone is welcome and especially those who don't feel comfortable going to clubs and experience themselves as outsiders in the clubbing scene, or those who feel that they can't express themselves properly in the mundane daily life." Asked whether people dress up in full-on goth outfits at goth night, she replies, "The short answer is: yes. All of us that come together on these nights are all different and from different backgrounds. Some people put a lot of effort into how they dress and some people dress wearing very little, as naked flesh is also goth. We don't have a dress code and people don't have to wear goth clothes at all. Goth isn't a costume. Goth is freedom, goth is beauty and goth is a mystery. It comes from the inside and lives in the hearts of those who know the magic of the night." Reykjavik Goth Night takes place at Gaukurinn on Saturday night starting from 9 pm. Performing are Australian musician Amelia Arsenic who plays electronic and industrial goth. Also appearing is Rex Pistols from Montreal who plays minimal coldwave. Tickets are available at the door for ISK 2000.